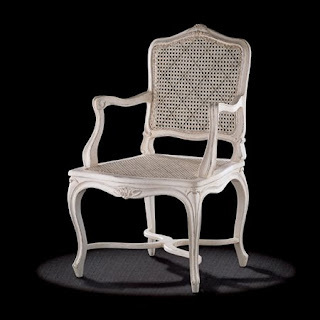 Caned Louis XV chair around 1760. Dimensions : 98 h x 50 w x 42 d cm. 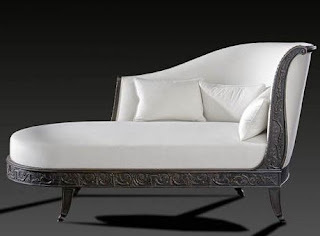 Dimensions : 96.5 h x 59.5 w x 50.5 d cm. 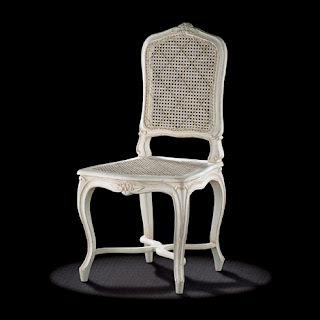 The elegance of this louis xv chair model comes from the special moulding of the back, which is very set back, the stretcher and the design of the crest rail evoking the Paris Regence style fashionable in Europe. 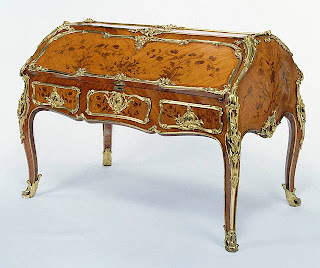 Although the clasp and the acanthus carved at the top of the back of this reproduction furniture and in the centre of the rail recall the Regence style, they are typical of the late Louis XV style, as is the moulding, which has no flowers.